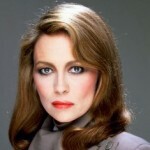 Dorothy Faye Dunaway was born in Bascom, Florida, USA. She is an American actress. She graduated from the Boston University with a degree in theatre. Regarded as one of the greatest actresses of her generation, she has won an Academy Award, three Golden Globes, a BAFTA, an Emmy. She won an Academy Award for Best Actress for her performance in the 1976 film Network. In 2011, the government of France made her an Officer of the Order of Arts and Letters. Her role in several films include: The Happening, Bonnie and Clyde, The Thomas Crown Affair, Chinatown, The Towering Inferno, Three Days of the Condor, Mommie Dearest, Eyes of Laura Mars, Barfly, and Arizona Dream.